Operating Era: 1902-1942 (M&P:1929-1973). THIS SERIES NOW COMES WITH OUR ONE-PIECE ROOF FRAME. Pennsylvania RR, Pennsylvania Lines. The XL may well be the most built design of all time with over 37,000 cars installed between 1902 and 1916. 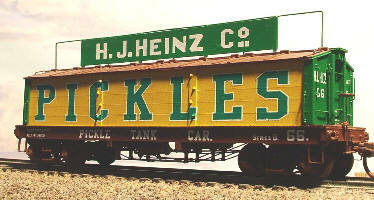 The cars sported over 20 heralds and roadnames for Pennsy and its subsidiaries. We now offer cars covering every known variation, from installation to scrapping in completely revised kits. The original design was based on the "house" portion of the previous design, the XH. The fishbelly underframe was a Pressed Steel innovation, first used by Pennsy on the GL coal car in 1899. Coupler lift bars and the use of tunnel brakes varied through production (1902-09) and the kit allows for these differences. General decals allow both Lines East (PRR) and West (Penna. Co., later PL) to be modeled in original and later lettering styles. Railroads covered by the decals for the 1300 series include: Empire Line, Union Line, NCR, PB&W, WJ&S, WNY&P, Anchor Line, ARE, PL Southwest System, PCC&StL, LIRR, VRR, PL Central System, CA&C, C&MV, CV, GR&I, PL Northwest System, C&P, E&P, PFW&CRy, PY&A, TWV&O, NYP&N. NOTE: In this Series, most Kits are Flat Kits and several in the 1350 Series are One-Piece Bodies. If in doubt, please check the price list (See Westerfield Price List PDF on Main Page Now includes our new one-piece roof frame. 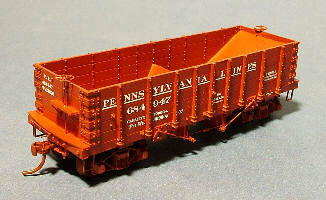 XL ventilated box car, early, original, NYP&N. PLEASE SEE OUR DS BOX CAR SECTION FOR OTHER #1300 SERIES KITS.